Switzerland is a very small, but densely populated country. So for landscape photography, it’s a nightmare - you can’t really make images of grand, wild landscapes without traces of human activities. Even in the Alps. There is always a road, a hut, a power line, a ski lift, a cable car station, a hotel. Or at least a high-flying jet leaving a condensation trail in the blue sky. But there is the Sea of Fog. A few days ago, I was sitting in my office, watching the impenetrable fog outside the window. 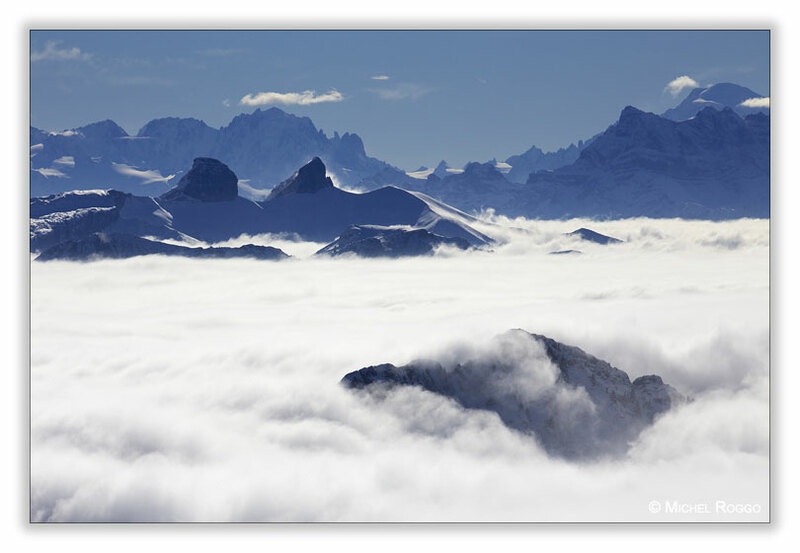 Wondering at what level this fog bank could be, I started my internet browser, watched some webcam images of ski stations in the Alps: at about 2’000 meters above sea level. Perfect! 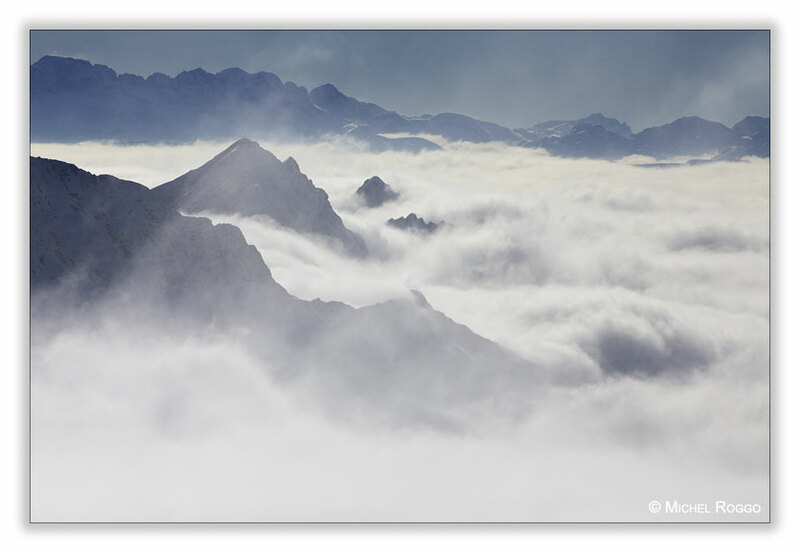 I crabbed a camera with a 70 - 200 mm lens, jumped in my car and headed for the Alps. Hours later I was on that perfect spot, high in the Gruyère Alps. 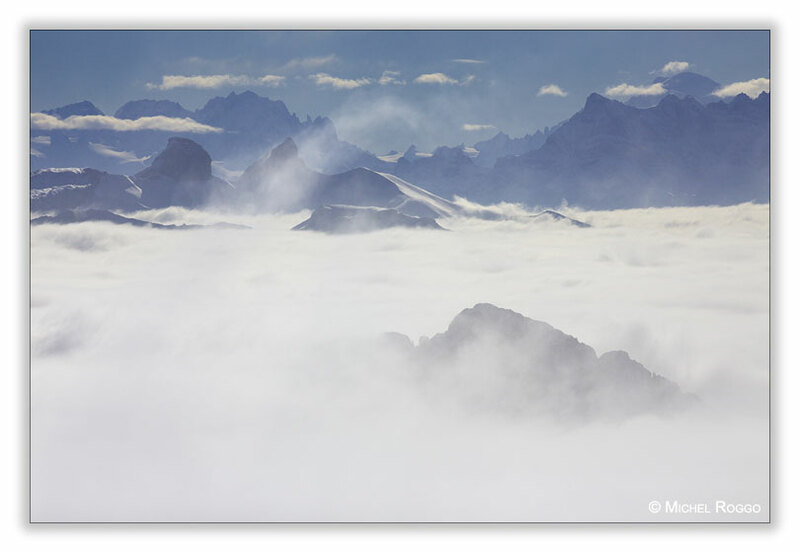 This was really the Nebelmeer, as we call it in Switzerland, or the Sea of Fog. As in the oil painting „Wanderer above the Sea of Fog“ by the German Romantic artist Caspar David Friedrich. For hours I watched the ever-changing landscape. That was the grand and wild alpine landscape an eagle could see thousands of years ago, soaring high on the sky.